Hi! I’m Annabelle Wadsworth from Australia and I would just like to acknowledge Vianna. I really, really, really, love her. She has changed and transformed my life. I have a near death experience and the year 2000. This is with a tick and a broad snake bite in Australia and my nervous system broke down about nine months later, I had many complications. 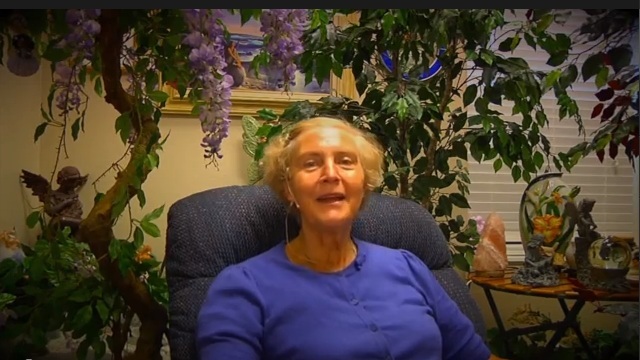 I did a lot of work with myself, including going to Vianna’s basic course and DNA 2 given by grace practitioners but I didn’t really embrace ThetaHealinguntil I met Vianna which wasn’t until year 2010. And I went into an introductory night and I said that was amazing. She walked up to me and held my hands, after that she said: “You’ve got Lyme disease.” And I look in her eyes and I said, “I had to be in her class.” That was absolutely essential for my next step. From there, in 3-4 days time, I was in her course and off we went. She used me as an example, in front of the class and cleared this Lyme disease just belief from belief, which was underneath. A couple of days later, she dragged me into the middle of the class and she cleared energy that was so old in my body and I can feel that all my limbs have really dried up. She cleared that energy. I could hardly walk for 2 days. From there, I had transformation from another transformation and now I’ve done a few or more courses and I’d love to be with her. My molecules begin to feel her joys. It was like they know it was coming and it starts to spin at a very high rate. Vianna is an Epithet walking this world, in a form of a mom, grand mom, with great compassion. Often we have her grand children coming into classes and playing around. There’s other babies there and she’s has infinite patience with everybody – with the children, with the adults. Everybody having breakdown, so whatever happens to them, the joy they and they rush up to her, embrace her but she is always receptive and available. I think this is the beauty of Theta Healing. That Vianna has created this type of energy. Because usually when you have people with this caliber, frequency, they stay very much apart. Vianna is not like that. She is always receptive and she’ll make time for you. She fit you in there and then, she’ll say: “Annabelle, come back later. I’ll give that 5 minutes or whatever you need.” Sometimes she’ll spend half an hour with each person just to go through different changes in their lives. Posted On September 27, 2013 in ThetaHealing, Vianna Stibal with 0 Comments.Tagged: energy, Epithet, theta healing, ThetaHealing, vianna.